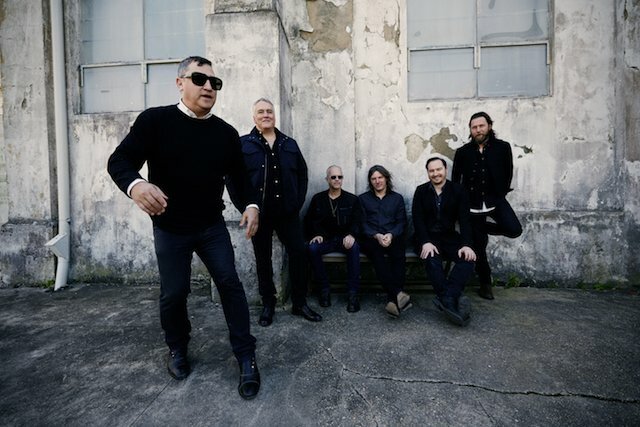 The Afghan Whigs will perform Tuesday, Sept. 12 at Union Transfer. It's been a bittersweet summer for Greg Dulli. The Afghan Whigs singer-songwriter is pleased to be touring behind his band's latest album "In Spades." The project is filled with songs, which are, at times, powerful and at other moments beautiful. It's arguably the alt-rock act's finest album since 1993's "Gentlemen." The Afghan Whigs happen to be at the height of their powers as the members of the band trudge through mid-life. However, mid-life for guitarist Dave Rosser, who passed away in June after a battle with colon cancer, was 25. "It's been a difficult period," Dulli said from his Los Angeles home. "We knew that this was going to happen. It hurts since he was a such a great friend and bandmate. Dave was a tremendous musician. He's all over this album. He's on every song. It wouldn't sound the same without him. We got the word about his condition when we were just about finished making the album. It's so difficult. But, on the other side of all of that, it's a relief since he's not suffering anymore." Dulli, 52, has made suffering an art form. The charismatic figure has always sounded tortured. The pain has always been in his words and in the manner he belts out his songs. "I guess I have a certain style," Dulli said. "You kind of know what to expect from me." What fans expect from The Afghan Whigs, which also includes bassist John Curley, multi-instrumentalist Rick G. Nelson, guitarist Jon Skibic and drummer Patrick Keeler, is intensity, whether it's in the studio or on stage. "I don't know how to bring it any other way," Dulli said. Dulli remains a compelling figure years after creating some of their finer alt-rock of the early ‘90s with such albums as “Congregation” and “Black Love.” The Afghan Whigs' peak material, which is full of angst and self loathing, still sounds relevant. “I think people can still relate to what I was singing about back then and the songs still sound good,” Dulli said. With an eight-album catalog, it isn’t easy for Dulli to make up a set list. “It’s tough, considering how I look at things from a fan’s point of view,” Dulli said. Dulli is now sounding like the angst-ridden kid who grew up playing punk in a Cincinnati garage during the ‘80s. “Some of that person, who I was, will come to the surface, but I swear I’ve changed,” Dulli said. The Afghan Whigs will appear Tuesday, Sept. 12 at Union Transfer, 1026 Spring Garden St., Philadelphia. Har Mar Superstar will open. Tickets are $30. Show time is 8:30 p.m. Call 215-232-2100 for more information or click here.